As seen on EWTN with over 600,000 copies sold! Bestselling author Scott Hahn unveils the mysteries of the Mass, offering readers a deeper appreciation of the most familiar of Catholic rituals. The Lamb’s Supper reveals a long-lost secret of the Church: The early Christians' key to understanding the mysteries of the Mass was the New Testament Book of Revelation. With its bizarre imagery, its mystic visions of heaven, and its end-of-time prophecies, Revelation mirrors the sacrifice and celebration of the Eucharist. 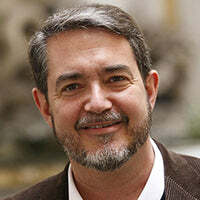 Beautifully written, in clear direct language, bestselling Catholic author Scott Hahn's new book will help readers see the Mass with new eyes, pray the liturgy with a renewed heart, and enter into the Mass more fully, enthusiastically, intelligently, and powerfully than ever before. I was first introduced to this book through Lighthouse Catholic Media; Scott Hahn gives a talk on CD, with the same title, overviewing this book. I still remember the moment I pulled into my high school parking lot just as this CD was finished. I sat there stunned. I had been poorly catechized and I had no idea that there was so much depth to Catholic theology. Most of what I had heard or read up until that point was not very substantial. This lit a fire in me that has never gone out since I This is also when I first knew, in an much more intimate way than before, that the faith is REAL. I went on to read the book and appreciated all the extra detail, but nothing can replace hearing Dr. Hahn's passionate voice. I recommend starting with the CD and then reading the book. You'll remember the work better as well.